Whether you think it’s for better or for worse, we live in a society that values productivity and efficiency above all else; those who accomplish the most in the shortest amount of time often are often those who receive promotions and bonus checks. In this day and age, every minute counts (especially if you’re trapped in a cubicle! ), so mastering shortcuts in your workflow can be incredibly helpful, especially when you’re on a deadline. Just like the millions of journalists, nurses, and stenographers who employ well-honed shorthand to squeeze more information into a smaller amount of time, more and more average professionals are opting for the quickest way from point A to point B. Enter the modern keyboard shortcut. We’ve all heard of them, and probably have a few tucked into our muscle memories, but, out of the thousands of options, there may only be a few dozen that are truly helpful. But where to start? How do you know which ones are worth memorizing and practicing? Which shortcuts actually save time and make our lives easier? Well, here’s our quick roundup of seven Mac keyboard shortcuts that will slash your work time, getting you out from under those fluorescent lights just that much sooner! There are definitely more out there, but we think this is a good place to start. Also known as “paste special”, this handy shortcut prevents a mish-mash of crazy fonts and sizes from content copied all over the web. It makes everything smooth and easy to read, without you wasting time highlighting and clicking ten different things in your formatting toolbar. See that little icon in the very top right corner of your computer? Click on it and it will bring up your notifications bar, where you can access things like RSS feeds, Twitter, Calendar reminders, and other awesome info. But when you’re trying to focus, all those pop-ups and chimes can really interrupt your flow. So scroll up to the top of the bar and turn on the “Do Not Disturb” function; this will silence all notifications for the entire day (or until you turn it back off). Two little keys stand between you and the entire informational universe. This command brings up a search bar that will comb everything on your Mac, the App Store, iTunes, and the entire Internet. You can even use it as a calculator. Don’t believe me? Give it a try! Ever had to stop what you were doing to scour your word processor for that umlaut or that accented “e”? This little trick will save you tons of time and is extremely helpful for anyone who works in multiple languages or writes about culturally diverse topics. Just hold down whatever letter you need and a tiny menu will appear for you to choose from. Beyoncé will not tolerate your excuses anymore! For anyone who works with any kind of legal paperwork, gathering signatures is a hefty portion of the job. Even most of us average people have experienced the hassle of printing out forms, signing them, scanning them, and sending them back to whence they came. 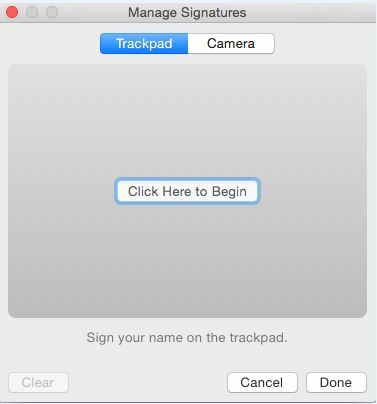 Well, thanks to the Mac’s Manage Signatures function, you can sign online in a snap! Open up Preview and its Preferences. You should find a button to Manage Signatures, which brings up a window where you can either sign using the track pad or take a picture of your real signature on paper. This then stores the information for you to add any time you need it. The ability to take a photo of your computer screen at any point in time is an incredibly useful tool. Whether you’re documenting interactions for legal reasons or going back and forth with the IT department, it’s helpful to have a stack of screenshots to work with. 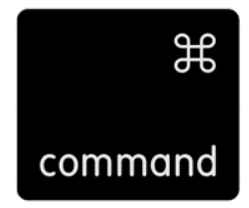 There are many screenshot software downloads out there, but this Mac keyboard shortcut is by far the easiest! Three little keys and your cursor is transformed to a bullseye – ready to capture anything and everything you can see on your screen. The best part is, the .png file is automatically time-stamped for your records. If you stumble upon a word you’re not quite familiar with or you need to brush up since it’s been a long time since AP English (confession: we all do this), the Mac’s dictionary feature is just the thing. Simply hover your cursor over the offending word, type this shortcut, and you’ll be rewarded with a sampling of info from the dictionary, thesaurus, and Wikipedia. These can go a long way in boosting your reading comprehension and expanding your vocabulary without ever having to crack open a book. Utilizing these Mac hacks will not only save you time and hassle, but is guaranteed to make you look like a pro. And in this world, even the smallest boost can make a difference.